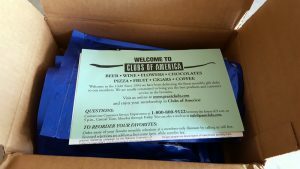 The Coffee club at Clubs of America has racked up 3 million shipments since 1994. Their track record is superb, and they specialize in sending two monthly 12 oz. bags of the finest gourmet coffee from around the world to customers. By around the world, we mean Kenya, India, and Sumatra to name a few. 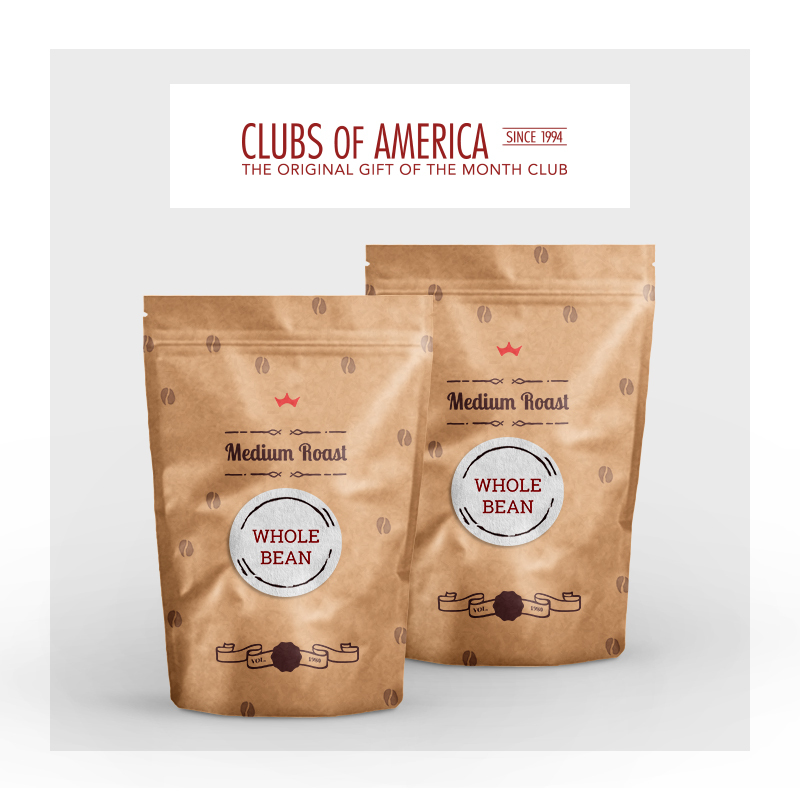 Clubs of America only offers traditional roasts and some flavored coffee every now and then. For those that are just looking for new coffee to try, this is your one-stop shop! 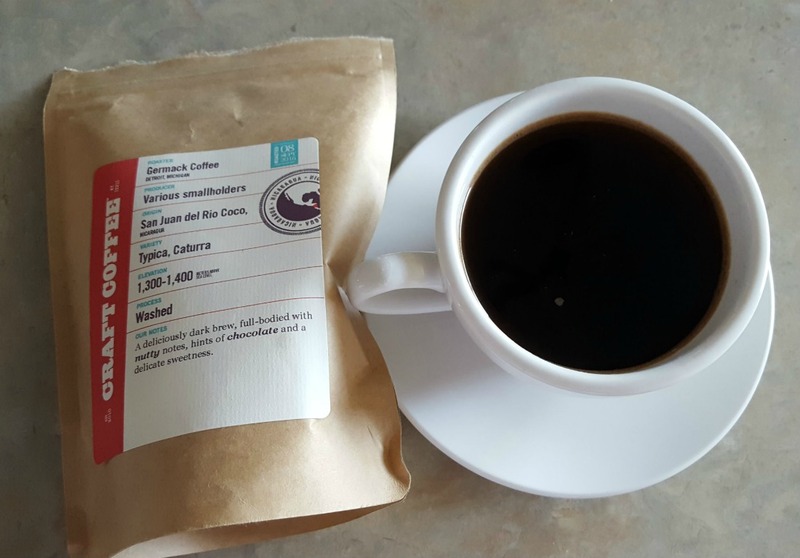 Each month your coffees are selected by their in-house curators and delivered to your door. You cannot select your preferences, so you will need to have an open mind and enjoy a large variety of coffees. They do offer single-origin and Fair Trade coffees. Some are washed, some are not. The roasts range from light to dark, but most will be more robust than other coffee clubs you receive. The only preference you can give is if you want whole bean or ground coffee. 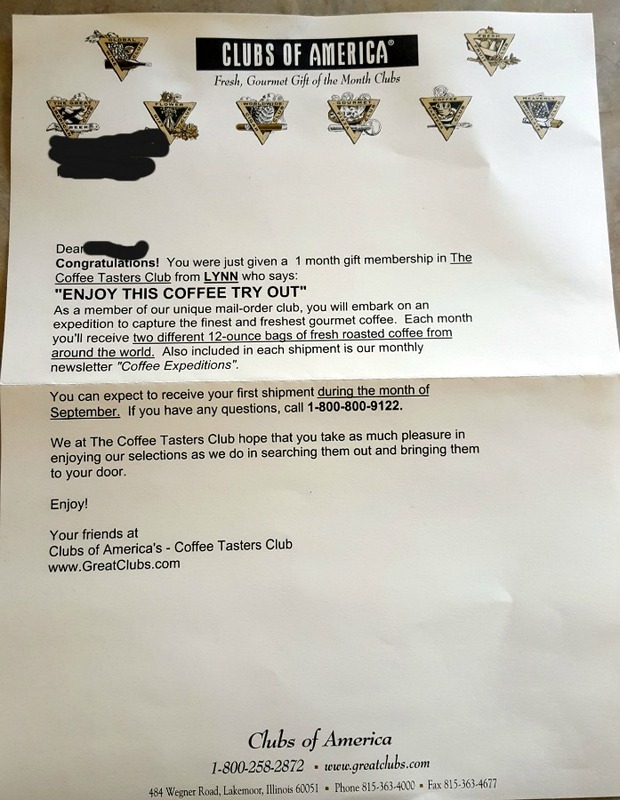 It’s hard to bring down a club just because they randomize coffee every month. But when there are other coffee clubs that offer decaf, iced, k-cup, and single-origin varieties, it leaves me no choice. You cannot select preferences; instead, you are stuck with the varieties the club sends. While there are plenty of clubs out there that do this, some will ask for at least a little input. Others at least add a touch of mystery and create a “tasting” club experience so that you sign up knowing you’ll never know what you’re receiving. They don’t feature a lot of their past club shipments online, so it’s hard to gauge what you might receive. However, this doesn’t mean the coffee isn’t delicious. 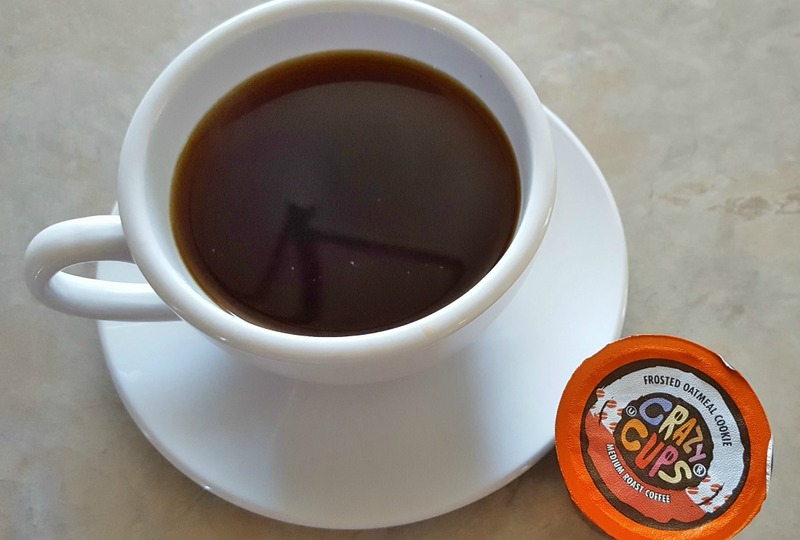 For anyone that wants a richly-flavored coffee with awakening aromas, and wants to try new things, you certainly won’t be disappointed by Clubs of America. All beans coming from Kenya, Sumatra, Nicaragua, and India pass through Chicago where they’re roasted and then shipped to customers. All of their coffees come in dark vacuum-sealed bags to ensure freshness. While they don’t specify the roast date, the coffee still tasted fresh. Upon further investigation, there’s no rush to get the beans out to customers within a certain timeframe, which is disappointing, but still fine. There is no roast information on the bags received either — so I had no idea when my coffee was roasted. I received two coffees, including a peaberry. The peaberry isn’t featured by a lot of coffee clubs, so I give Clubs of America extra points for acquiring this type of bean and sending it. 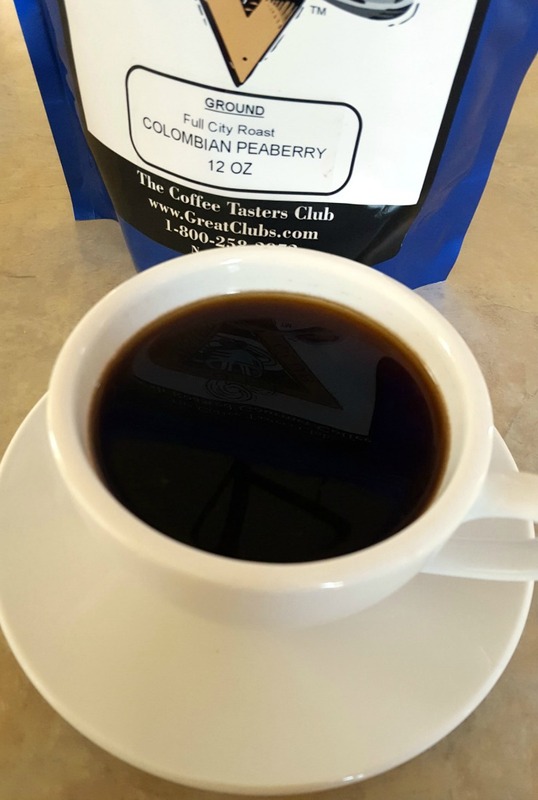 I was most impressed with the peaberry that I received. It had low acidity, robust flavor, and it wasn’t bitter. 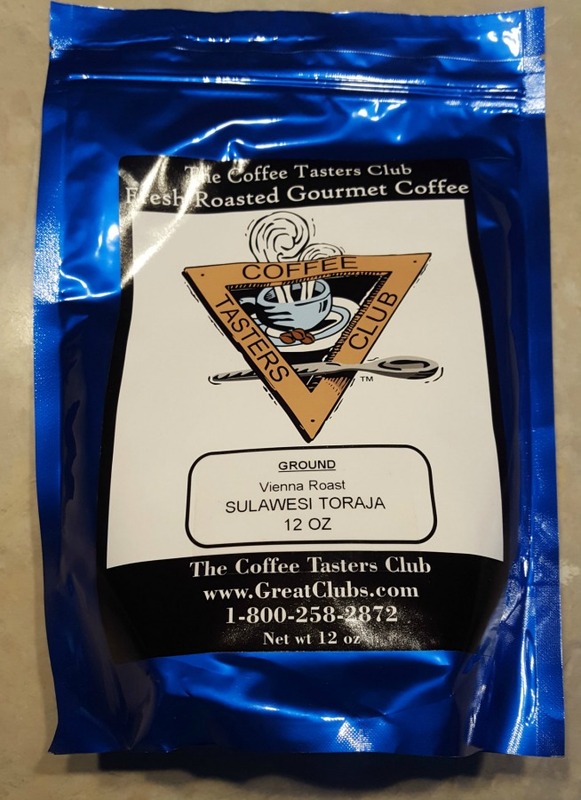 The second coffee variety I received was a Sulawesi Toraja. This one wasn’t as robust, but the flavor was still fine for me. I did find it to be a little bitter compared to the peaberry and the finish wasn’t as smooth. That being said, I would drink it again (and did). While the coffees were fine, the selection wasn’t as impressive as other clubs I’ve tested. They almost felt generic and not as unique. I’ve tasted just about every club out there, and most impress me with the flavors and hidden notes. This coffee was just, coffee. The coffee club is pretty dynamic with a few new features I haven’t seen before. Monthly the price comes out to $27.95 for 1 ½ pounds of premium coffee. Customers can choose a membership lasting anywhere from 1-12 months in length. The pricing is phenomenal as well. Most coffee clubs will ship 12 oz. 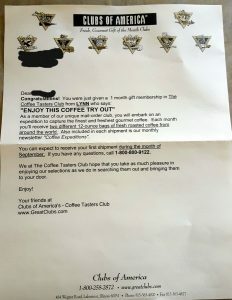 of coffee for around $20, but Clubs of America blows this out of the water, and gives out a whopping pound and a half per month for just over $25. Sadly the amount of coffee cannot be changed, but to make up for that the customer can skip a month in the delivery plan or choose to have the shipment come every third month. If you purchase a 12-month plan, then $25 is taken off the price, which means that if you’re considering 11 months, you might as well just buy the full year. Along with the coffee comes a monthly newsletter subscription, and if you’re not happy with the product, it comes with a 100% satisfaction guarantee. The newsletter is quite extensive compared to other clubs, so I will give them that. They go into great detail about the coffee you’ve received, its origin, and what you can expect. They also go into depth about how you can brew it properly, and the history of the region. On the newsletter you can write your own rating of the coffee you’ve received. It’s a fun feature, especially if you’re hosting a tasting party with friends or you want to work on your coffee tasting skills. Despite these features, there’s nothing here that really dazzles us. They also don’t offer a free trial, opportunities to earn free coffee, or any special rewards to their club. Clubs of America ships free with FedEx, and all deliveries ship at the same time for everybody. You should expect your coffee around the 3rd or 4th week of every month. 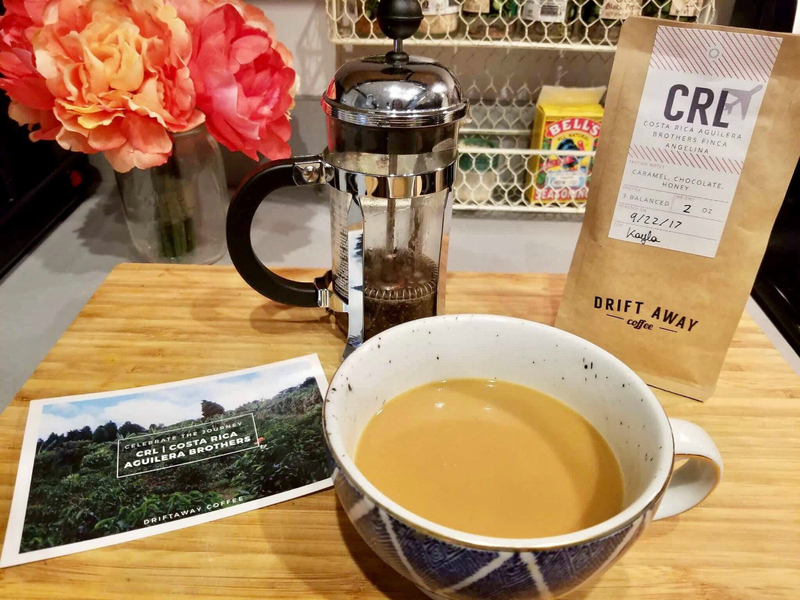 When you first open the box, you are greeted by your welcome note (for the first shipment), and your Coffee Expeditions newsletter. The vacuum-sealed coffees are placed together below. As for packaging, the beans are placed inside a vacuum sealed zip lock pouch and then shipped in a box with protective packaging to maintain freshness. It would be nice if they shipped every week or every two weeks, but it doesn’t hurt their score in this category too much. The exterior of the box has no label or branding. You wouldn’t know it was from Clubs of America when it arrived — I didn’t. The packaging itself is quite understimulating, especially when you compare it to other clubs that have branded boxes and a unique way of presenting their coffees. 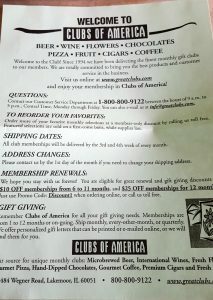 There is a gift membership which acts just like the regular coffee club. The gift giver would just pick how many months they want and prepay for the duration. It also comes with a personalized letter that the giver can write to their recipient. The letter arrives a few days to a few weeks (depending on the start date) before the actual shipment. This is the run of the mill gift membership with no real added features beyond the other coffee clubs. They don’t do anything super special here. There’s no special gift packaging or extras they include other than the announcement letter. The website consists of a few pages and is part of a bigger website called the Clubs of America. They do a good job at giving you as much information as possible and most of the questions you would have are answered on their Coffee Club page. 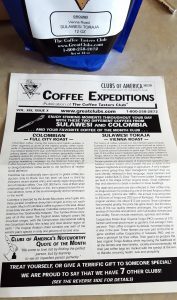 The page dedicated to the coffee club really only has a little bit of information, but there is a blog dedicated to posting information about coffee! The website looks fine, but it’s not even its own separate webpage, which affects the score a little. Compared to other clubs, the information here is not as impressive. They don’t have dedicated coffee education, brewing instructions, etc. While there is a blog, it isn’t just about coffee. 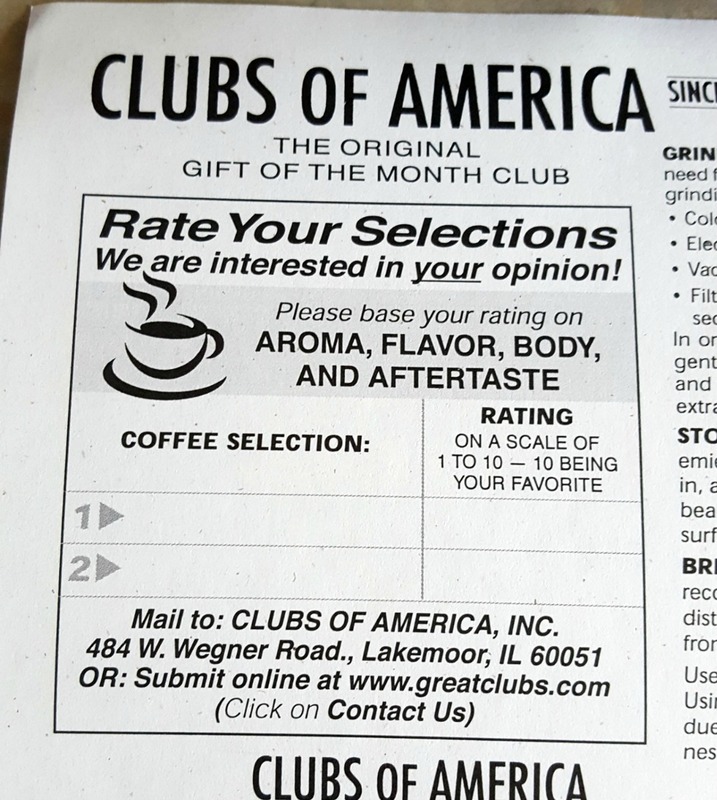 It covers all of the club options from Clubs of America and most of the coffee blogs are quite generic. Most just tell you about coffees they’re featuring in the club. There are phone lines open along with an email and message system built into the site. I had no problem contacting them via phone—it only took a matter of seconds. They do have a dedicated FAQs section for the coffee clubs, which answers the basic questions a potential customer would have. Clubs of America’s email customer service is completely unresponsive. We reached out to them multiple times with zero response. Despite them having other ways to contact, most customers will reach out via email with concerns. Because they didn’t respond to any of our attempts, we cannot give them a good customer service recommendation at this time. 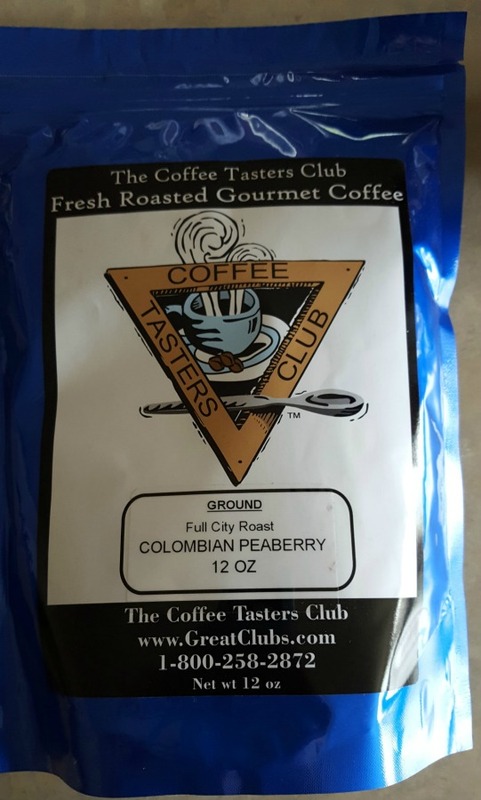 Who is This Coffee Club Best Suited For? This club is ideal for those who need more coffee than most while maintaining a great price point. 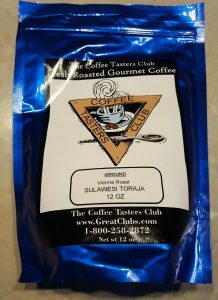 Also, ideal for those that want to give a coffee club gift or combine their coffee of the month subscription with other club options. Coffee Expeditions Newsletter: Compared to other clubs, the newsletter from Clubs of America was very impressive. 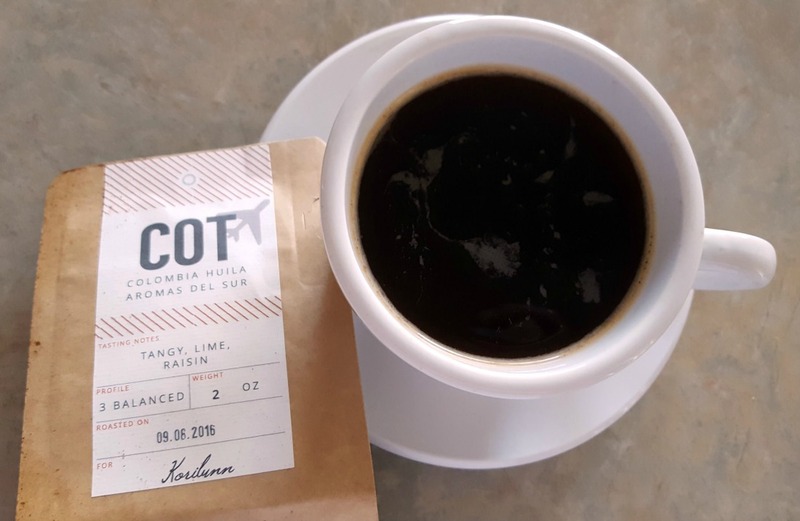 They don’t just give you a few sentences about the coffee and its origin; instead, they spend paragraphs telling you everything you want to know. 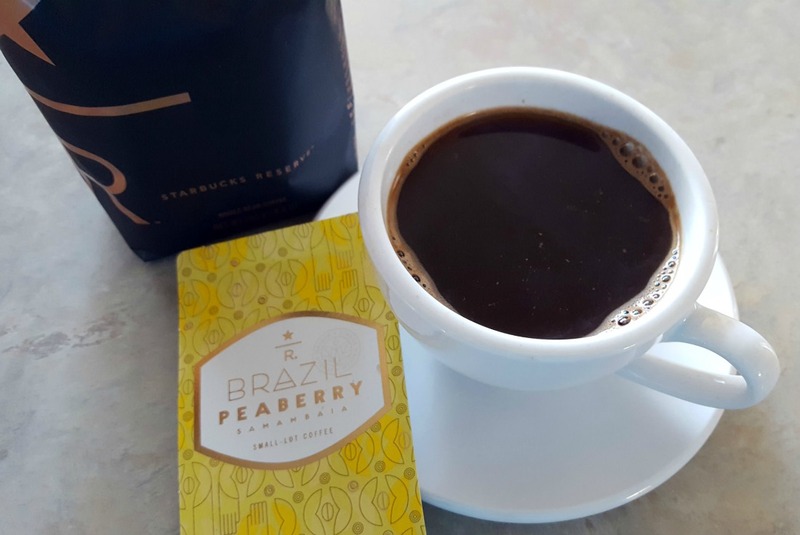 When you’re done reading, you’ve felt as though you’ve explored the region and you’re one step closer to being an expert at single origin coffees. 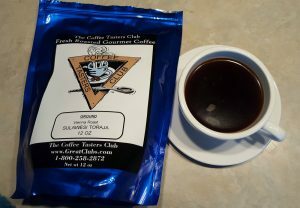 Gourmet Coffee at a Great Price: Clubs of America offers a lot of gourmet coffee for a great price. This isn’t to say the coffee has low quality though, because it’s still considered gourmet. Can Add Other Clubs: One thing we’ve always liked about Clubs of America is that you can create a customized membership. You can add on things like their chocolate or cheese of the month club to compliment your coffee club. 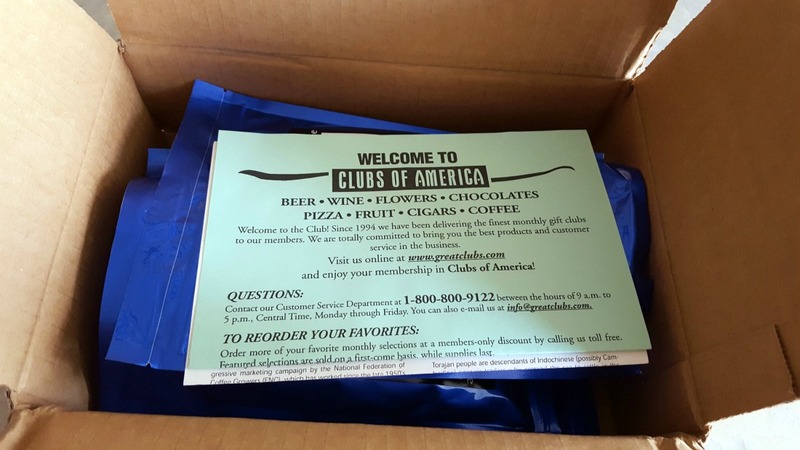 Great for Gift Giving: Clubs of America, compared to others, is excellent for gift giving. In fact, that is what they are designed for. 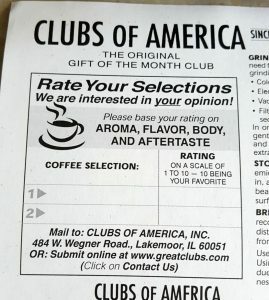 No Decaf: Most coffee clubs give you the option of selecting decaf, but there are no decaf options with Clubs of America. Resealable Bags: Most coffee comes in bags that you have to roll over and seal. But, Clubs of America uses zip lock pouches so that you can seal them to preserve the freshness after you’ve opened them initially. Satisfaction Guarantee: Clubs of America offers a 100% money back guarantee if you’re unhappy with your shipment. 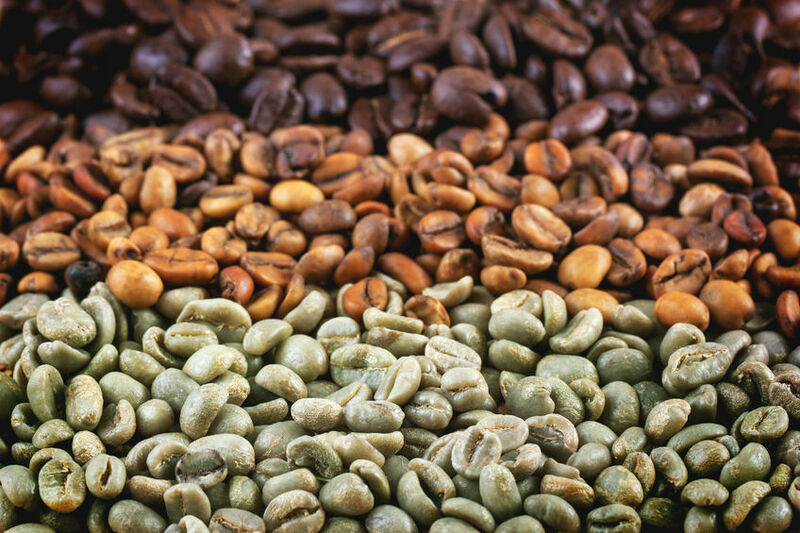 Roasting and Shipping: Other clubs specify how quickly you receive beans after roasting, while Clubs of America is less candid. They do state that they use Fed Ex to ensure freshness, but never specify how quickly after roasting. 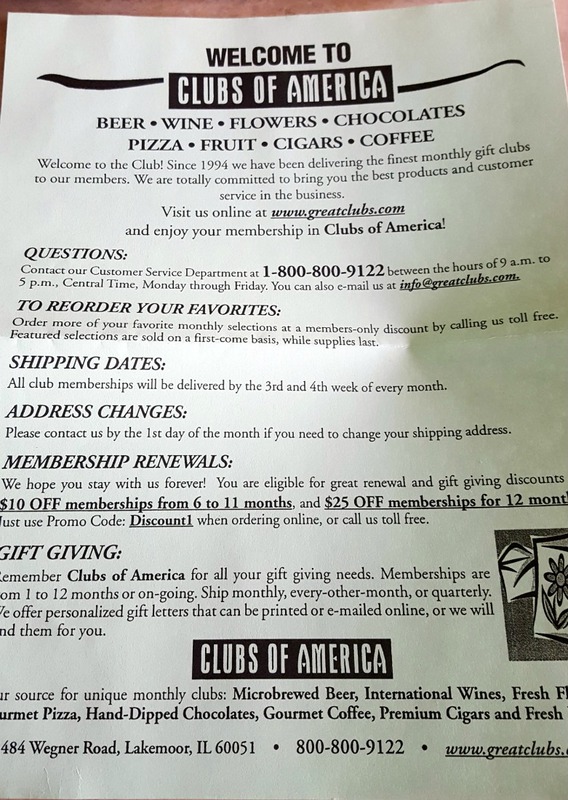 Unimpressive Gift Letter: Clubs of America does send a gift announcement to recipients. So, we tested it out. It wasn’t as impressive as they make it seem. The letter is well, a letter. The text is generic and there is more advertisements than gift-like messages. They also don’t tell the recipient when they can expect to receive their gift other than saying the month it will arrive. Lack of Customer Service: When you fill out an online contact form, don’t expect a response. We reached out multiple times with multiple inquiries and never received a response. Also, their phone support deals with all clubs; therefore, you will have representatives who are not as knowledgeable about all of the club options. 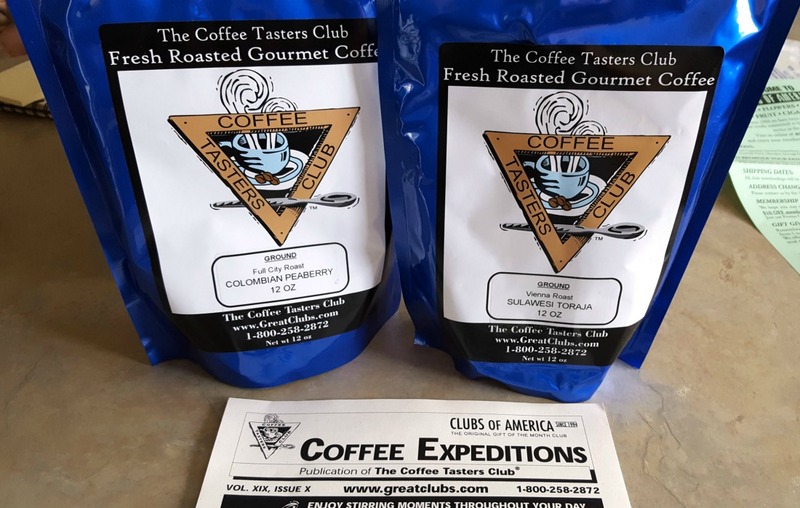 Clubs of America is a great coffee of the month club for those that want a club experience without getting into specialized clubs or coffees. Their big name and reputation make them the ideal choice for those who want a club that they can rely on. A monthly club all about giving you maximum coffee experience. 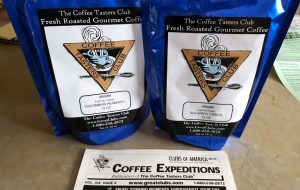 The Clubs of America Coffee of the Month Club features the finest gourmet coffee from around the world with fast shipping and great monthly prices.